Hawaii, Oahu, U.S.A., 2017-Nov-21 — /Travel PR News/ — Four Seasons Resort Oahu at Ko Olina presents the state’s only Women’s Tennis Association (WTA) tournament as the Official Hotel for the tournament, hosting 32 world-ranked WTA players and up-and-coming international stars playing singles and doubles matches on Oahu, a Player’s Pro Am and the official draw party. The final WTA tournament of the year, the Hawaii Open is taking place the week of November 19-26, 2017 at the Patsy T. Mink Central Oahu Regional Park. Last year’s singles champion was American CiCi Bellis, with the victory being her first tournament title on the WTA tour. Winning the doubles championship was Eri Hozumi and Miyu Kato of Japan. Tournament organisers are confident this year’s field of international competitors is stronger, as more top players are aware of the tournament and impressed by the quality of play, the enthusiasm of Hawaii’s tennis fans and the opportunity to boost their world rankings before the tennis year concludes. The WTA is the global leader in women’s professional sport with more than 2,500 tennis players representing 92 nations competing for USD 130 million in prize money. Among the world class female tennis players competing in 2017 Hawaii Open are Italy’s Sara Errani, China’s Shai Zhang, Misaki Doi, Risa Ozaki and Kurumi Nara from Japan, Evgeniya Rodina from Russian Su-wei Hsieh from Taiwan, and Sachia Vickery and Julia Boserup from the USA. Four Seasons Resort Oahu joins the Hawaii Tourism Authority as a Presenting Sponsor of the tournament. The tournament will generate extensive global exposure for Hawaii, as all of the week’s matches will be televised by the Tennis Channel, Fox Sports Asia, Fox Sports Latin America, ESPN Canada, and other cable TV providers, while also being live-streamed by tennis fans worldwide. 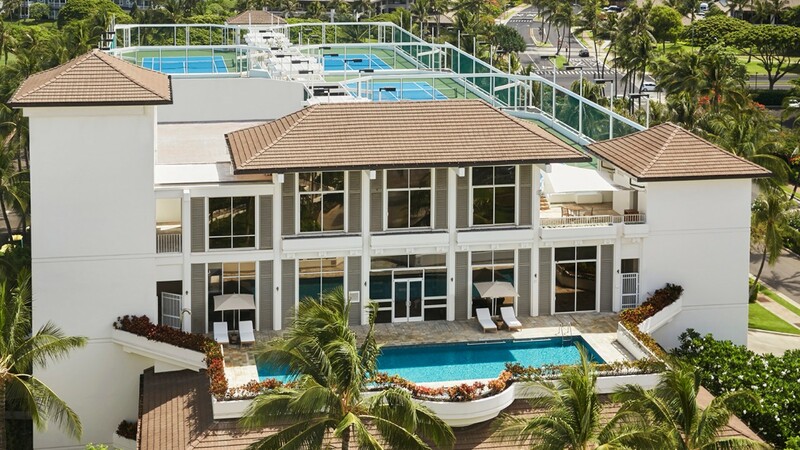 This entry was posted in Hospitality, Hotels, Sports, Travel Management, Travel Services and tagged Ben Goldsmith, Eri Hozumi, Four Seasons Resort Oahu at Ko Olina, Miyu Kato, Sanjiv Hulugalle, Women’s Tennis Association Hawaii Open. Bookmark the permalink.